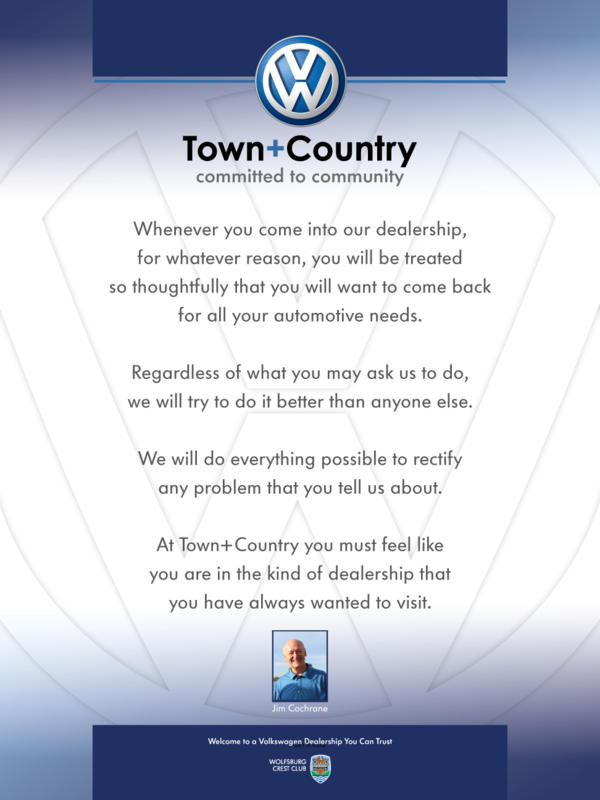 Welcome to Town + Country Volkswagen, your number one Volkswagen dealer in Ontario. No matter how you are dealing with us, whether it is for purchasing a new or used Volkswagen, for financing or leasing solutions, or for any of our service departments, our experts will always put your needs first. To learn more about any of our departments, come into Town + Country Volkswagen today.